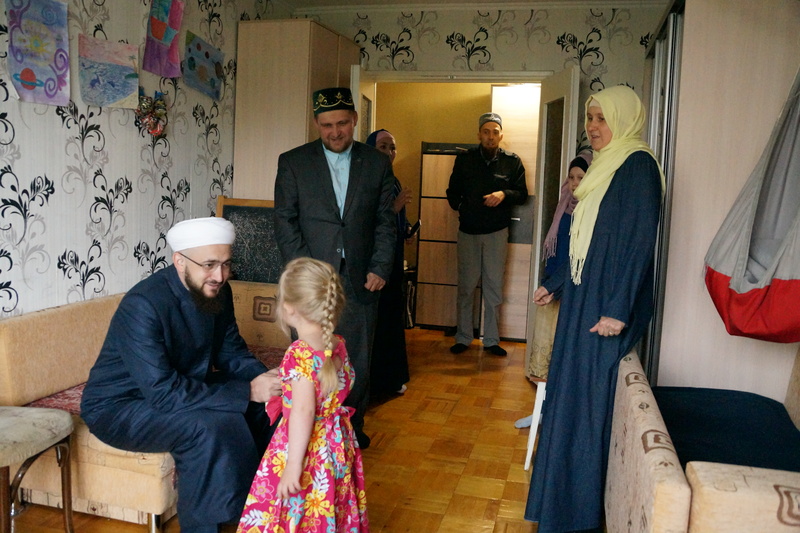 Mufti of Tatarstan, Kami Hazrat Samigullin, together with representatives of Zakat charity foundation of the Spiritual Office of Tatarstani Muslims visited several large and poor families who are bringing up one or two children with disabilities. In each house Kamil Hazrat delivered gifts - packages with grocery sets. The Spiritual Board of Muslims of the Republic of Tajikistan participates in the life of the society in its entirety and carries out social service for many years. Charitable activity of the Muftiate is realized by the Charity Fund "Zakat" established in 1998. It supports many socially unprotected groups of the population. The most important initiative of the Foundation is a special program to provide material assistance to seriously ill children. In general, the Foundation pays special attention to the needy and large families in the Fund: they are provided with material and longitudinal assistance. So, every year schoolchildren from Kazan and Tatarstan on the eve of the Day of Knowledge receive from the hands of the Mufti of the Republic Kamil Hazrat Samigullin boxes with all necessary teaching aids. During the holidays of Qurban Bairam and Uraza-Bairam, the month of Ramadan, the social activity of the muftiate is more noticeable. For example, last year thousands of people, dozens of Muslim educational institutions and social institutions were provided with meat of 10,000 sacrificial sheep, 400 families received grocery packages, 1,300 clothes and shoes were given free of charge, about 3,000 homeless people were fed at charity meals of the "Zakat" Fund.